What do I do when I just don’t want to train in martial arts anymore (or my child doesn’t want to train anymore)? This is not an uncommon question for martial artists to ask themselves many times throughout their training careers on the road to black belt. As a matter of fact, it is almost certain that your instructor has felt the same way, one time or another, during his or her training. So, what do you do? First, you need to remember why you started martial arts in the first place. No matter how far you have come since then (maybe you lost weight, reduced stress, or learned to focus better), remember that you must apply constant and ongoing pressure to not only obtain success, but to also stay successful. Do not go back to the way it was before your training. Second, immediately set an appointment with one of our instructors and share how you are feeling. There are many different things your instructor can do to help you re-ignite that great feeling you once had. Maybe it is reevaluating your goals, taking a private lesson or two, or even changing your curriculum. Perhaps he or she may suggest a few classes off or even different classes. Whatever it is, set the appointment and reset your goals. Are you looking for a place to train that is highly motivational? Great! Don’t hesitate, give us a call right now at 757-410-4999 to get started today! 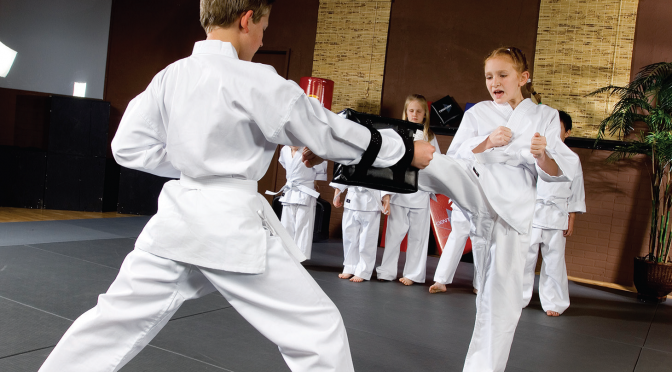 Join the fun at King Tiger Martial Arts where you’ll experience expert training in a fun, positive and supportive environment suitable for everyone in your family. Or simply fill out the box in the upper right corner and take advantage of our FREE 30 Day Trial Membership!